The Perfect party dress, with an elegant silhouette. Crossover bust with tucks, sash tie at the waist and a 'v' neckline. 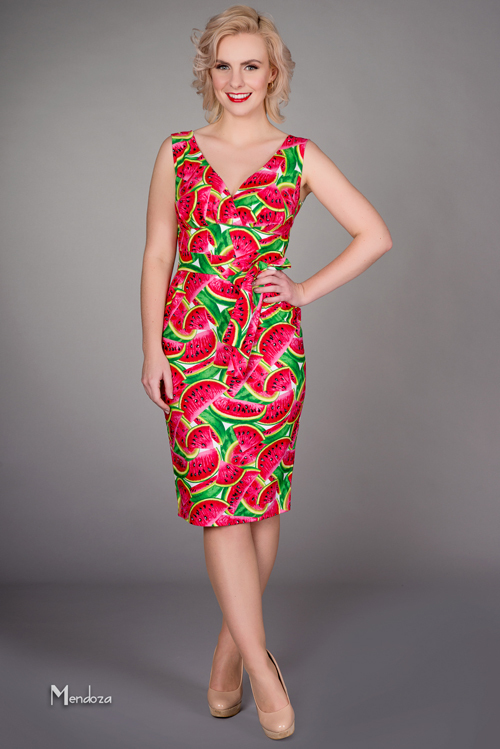 A lovely fresh watermelon print here.